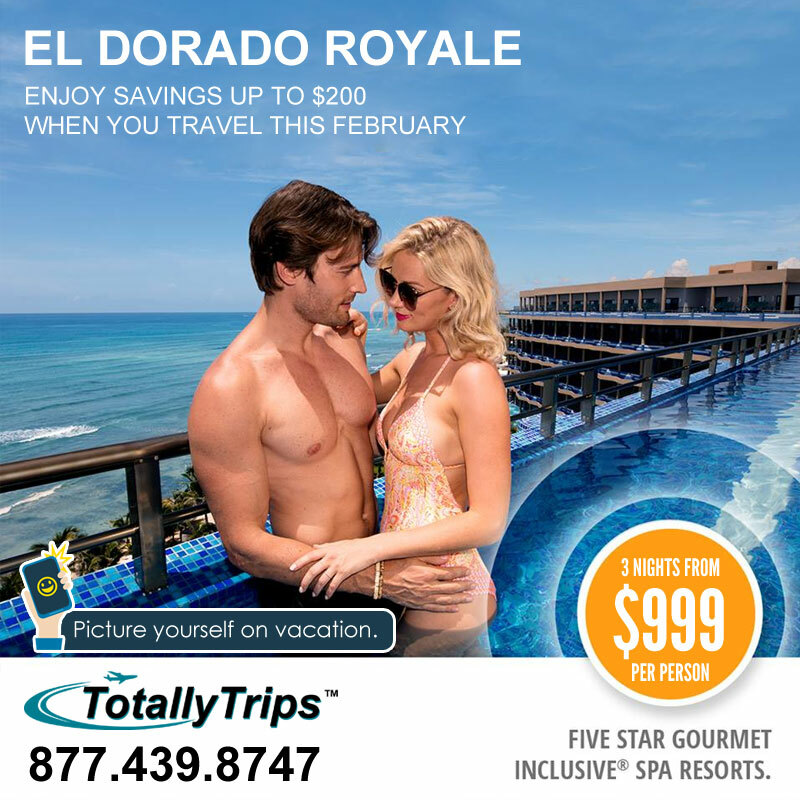 Romance is in the air this February at El Dorado Royale. This adults only gourmet inclusive resort features 5 star accommodations and savings up to $200. 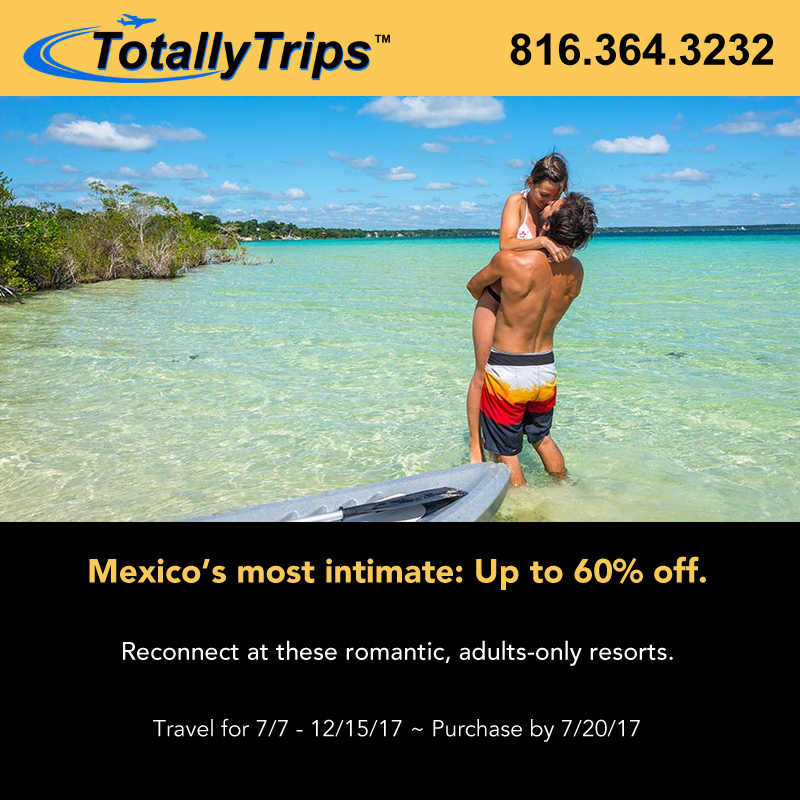 This sale won’t last long so call 877.439.8747 or visit: http://www.totallytrips.com/last-minute-vacations/index! Tour Unico 2087 in Totallytrips’ latest video! UNICO 20°87° was born out of a desire to create an entirely new category of adults-only, all-inclusive hotels – one defined by both relaxed luxury and cultural immersion. At UNICO 20°87°, you’ll get up close and personal with modern Mexico and be in the moment with rare access to the Yucatán’s most exciting locales and lesser known wonders. Mexico’s First Overwater Bungalows are on sale with up to 30% in savings + a FREE Limo Transfer Upgrade!